WordCamp New York City | Get Speaking! Tammie Lister and Kathryn Presner will be presenting So You Want to Be a WordCamp Speaker: A practical workshop for beginners on August 3 at WordCamp New York City. We look forward to meeting a slew of aspiring speakers there! Wordcamp NYC is sold out, but if you already have your ticket, you can sign up for the workshop here. Have you considered presenting at a WordCamp but thought you didn’t know enough or felt like an imposter? 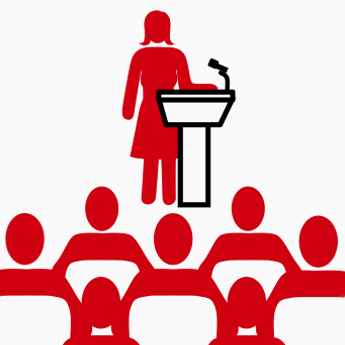 Does the idea of speaking in front of a group set your knees quivering and your heart racing? During this hands-on session we’ll look at what’s stopped you from speaking in the past – and explore how to move past your fears. We’ll delve into practical techniques for choosing a topic, writing a proposal, crafting presentation content, and making great slides. We’ll discuss how to avoid common public-speaking mistakes and techniques for battling stage fright. We’ll help you navigate the dreaded post-presentation Q&A session and gather post-talk feedback. Each participant will come out of the workshop with a WordCamp or meetup talk proposal – and more confidence to submit it.